The shape of this ring reminds me of the diamond gems in the ever popular game, Minecraft. 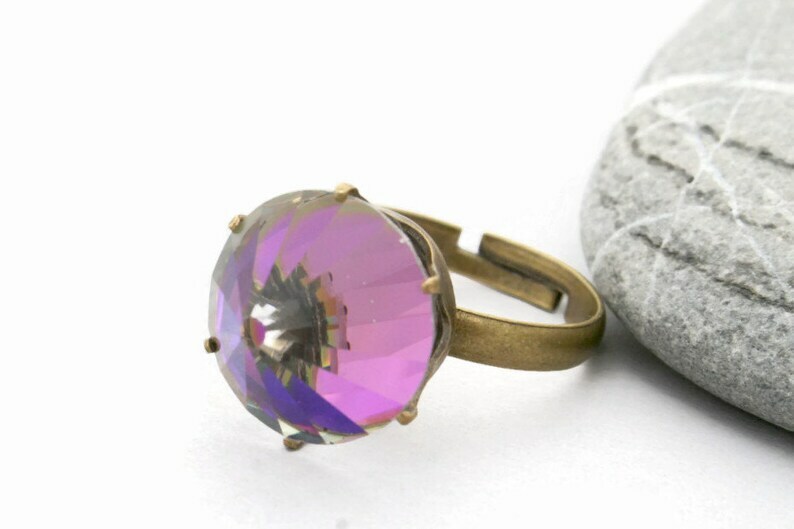 As you turn this purple "rocket" or "bullet" style Swarovski ring the facets of the glass sparkle. 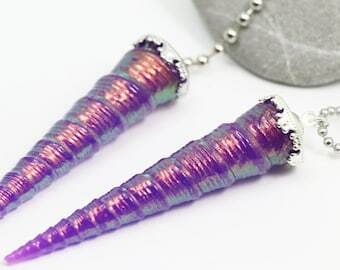 The pointed stone is about 12mm at the widest part and is 8mm at the base. It is set in an adjustable, antiqued brass princess crown base.